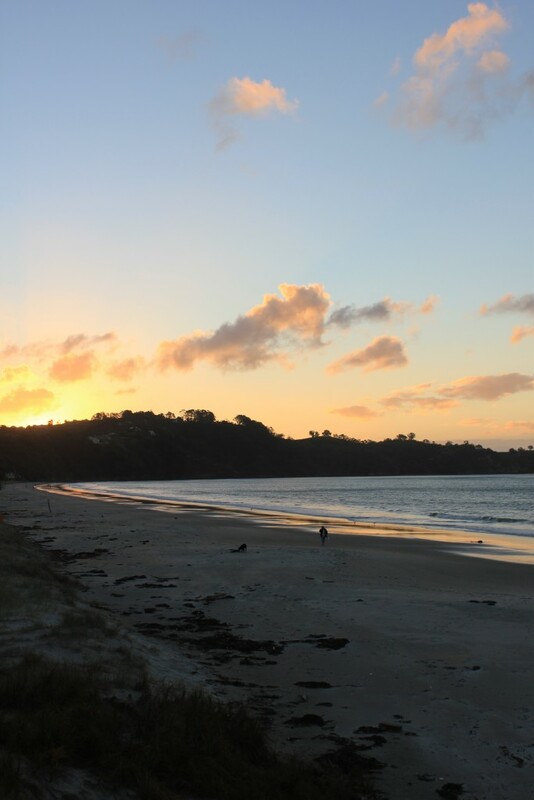 Waiheke Island is a short 30 minute ferry ride from Auckland harbour, and it’s the playground for Aucklanders for good reason. 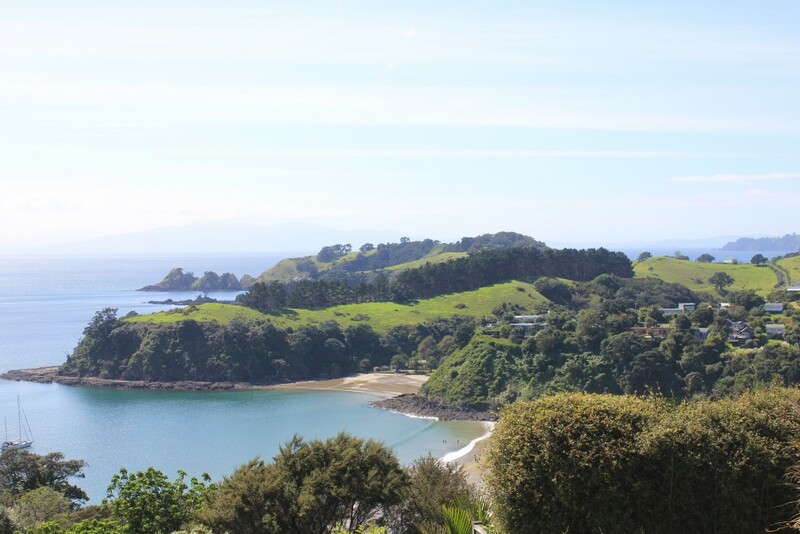 Stunning rolling hills, beautiful bays and delicious food and wine, it’s quite a place! The beauty of the island is well known, with hundreds of visitors arriving every weekend for day trips, weddings and holidays. Don’t let that put you off, there is a lot to explore and we often found ourselves the only ones on a beach, on a bay, or admiring a view. You just need to pick your time and go! Access to a car is also pretty important. 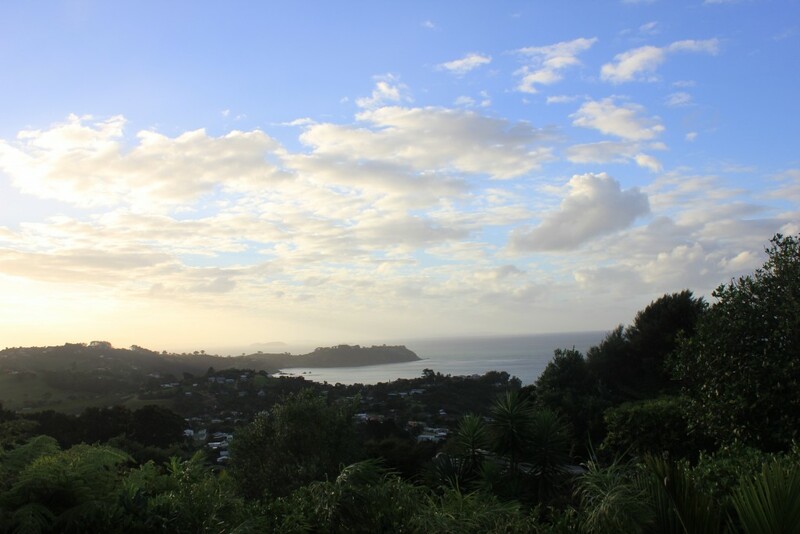 We stayed in an Airbnb place that had stunning views.. see below. However, we didn’t bother checking transportation and assumed we could just take a cab because it was less than 10kms from the ferry terminal. Big mistake! The cabs charge “rural” rates and the costs are astronomical, so hire a car or make use of the local bus service. Another tip? Don’t bother drinking and driving. There are several cops on the island, and narrow, windy roads. Be sensible and book a wine tour, or allocate someone to be designated driver. We made the most of our time by eating out at some delicious places, and also cooking at home with local produce. I loved wandering the main street there are so many quirky shops including a treasure trove second hand store filled with fabric, clothing, jewellery and other bits the owner has collected over many years. A number of local artists also live on the island too, and you can visit certain studios by appointment or see the works in one of several galleries and stores. The markets on Saturday are fun with lots of local makers as well as second hand goods. I bought the most beautiful handmade French style wooden rolling pin. We didn’t make it to all of the places below, but if we didn’t they were recommended to me which is why I am recommending them to you! The wineries are generally only open 11-4 so we weren’t able to squeeze in too many places in one day. We will just have to go back!